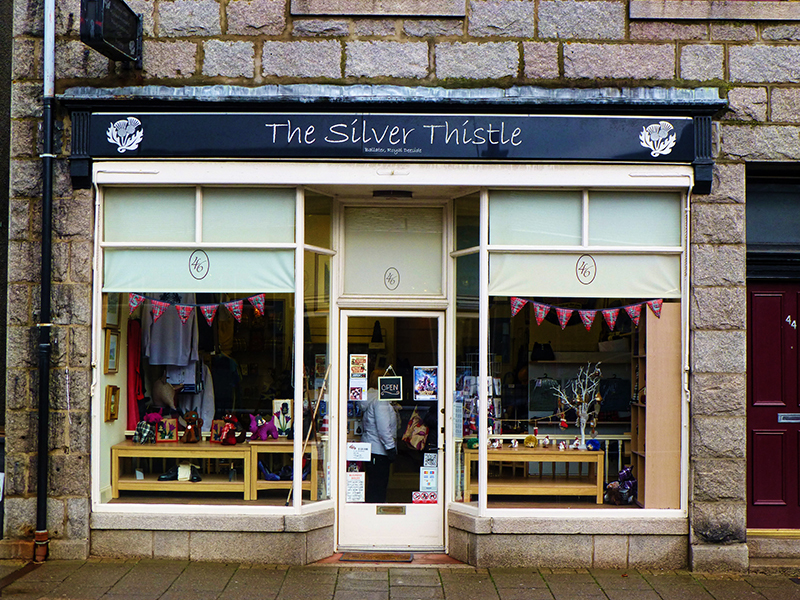 Many little villages had a shop named for their beautiful thistle. This one was a favorite of mine — we met the twin of Duncan in Monarch of the Glen. He had the same cute personality and twinkle, just not the haircut! Ballater, Royal Deeside, Scotland.